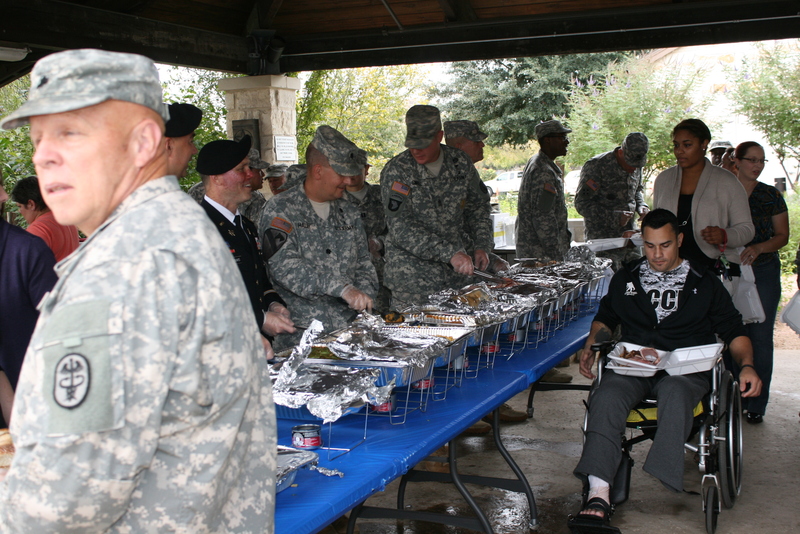 Brooke Army Medical Center in San Antonio, Texas, offered a Thanksgiving luncheon in November for 550 diners, which included the hospital’s military patients and their family members, as well as BAMC staff and support personnel. Freedom Alliance helped to sponsor the meal by providing some of the food. It was a happy gathering, and we at Freedom Alliance were appreciative for the opportunity to be able to say “thank you” to these special veterans in this simple yet heartfelt way.